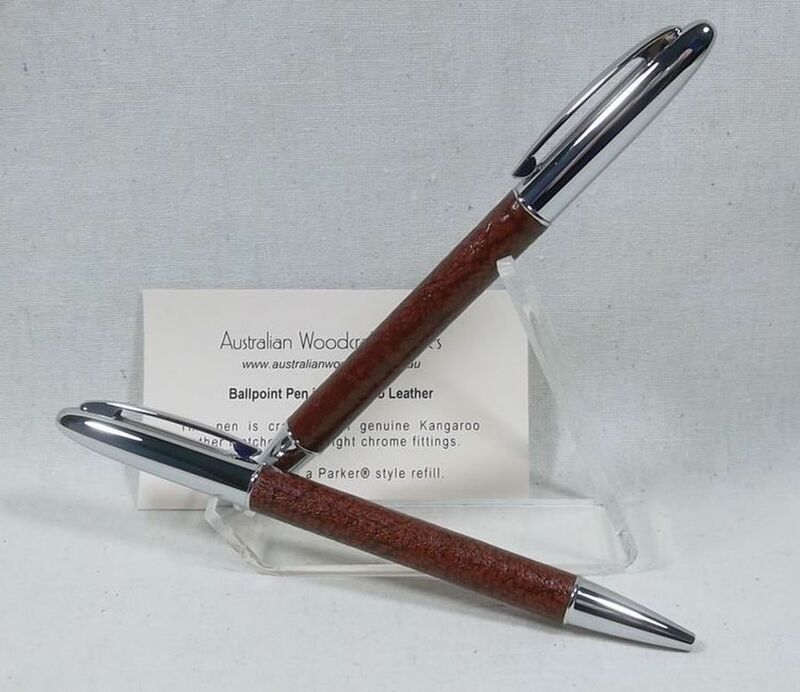 A unique Australian gift, Kangaroo leather pens with chrome fittings in a sleek attractive design. 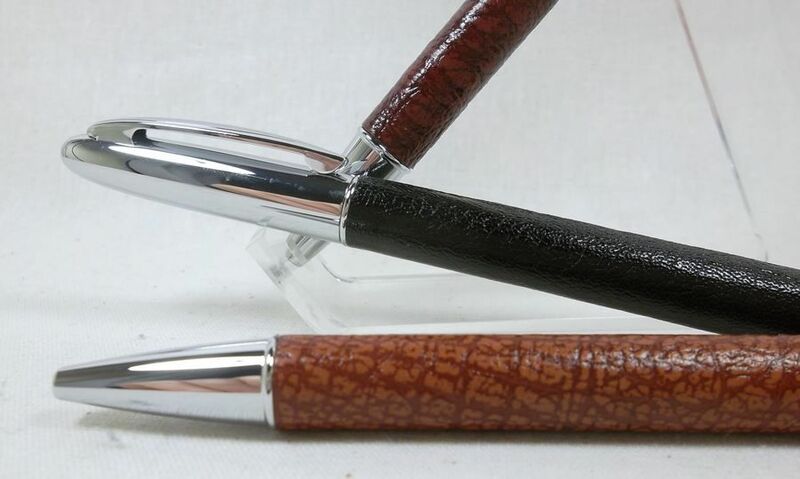 Kangaroo leather, despite its lightness and softness, has extraordinary strength and durability. Its tight fibre structure makes it two to three times more durable than ordinary leathers. 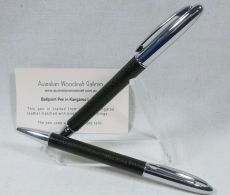 The Australian kangaroo industry produces a range of meat and leather products from animals harvested from the wild under strict government controlled Management Plans. 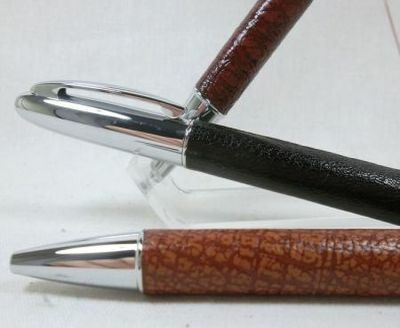 Tan, Wine or Black coloured Kangaroo leather matched with bright chrome finish to the metal components. 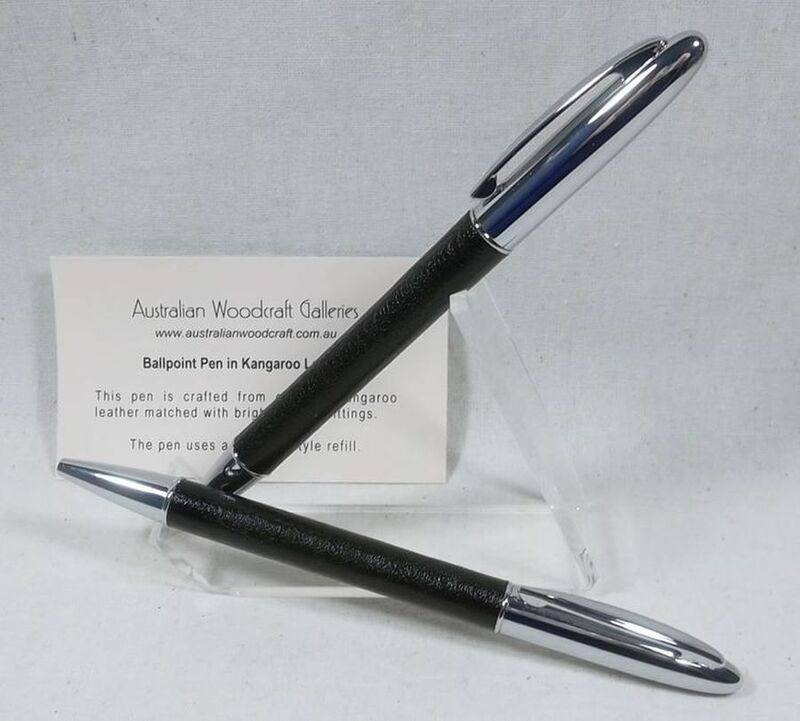 The pens are fitted with a readily available Parker® style refill. 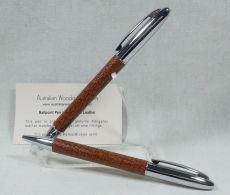 The pens are 140 mm long, 10.5 mm in diameter and are 20 grams in weight. 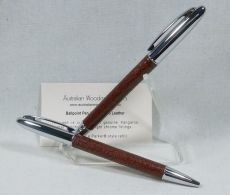 A presentation case and Story Card are included.